Hi everyone! I am SO late with my tablescape, but better late than never! 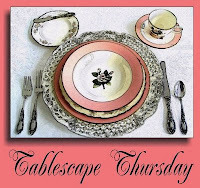 I am linking up with Susan over at "Between Naps on the Porch" and "Tablescape Thursday." There is definitely a mix of old and new on this table, and I think it's one of my favorite because I usually use a lot of color. Thanks so much for stopping by! 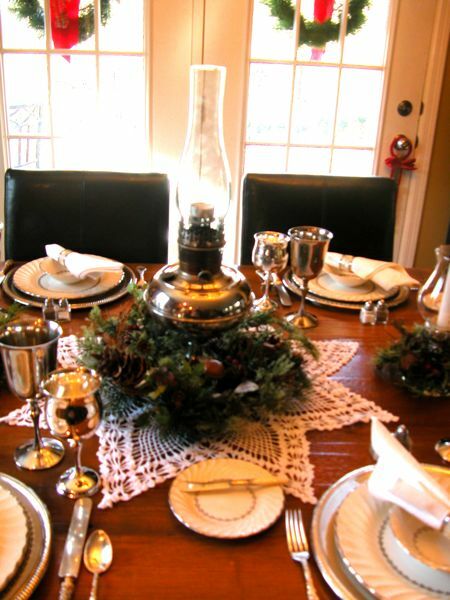 I hope you enjoyed my "White Christmas" and perhaps found some ideas for using something old you have around your house!! 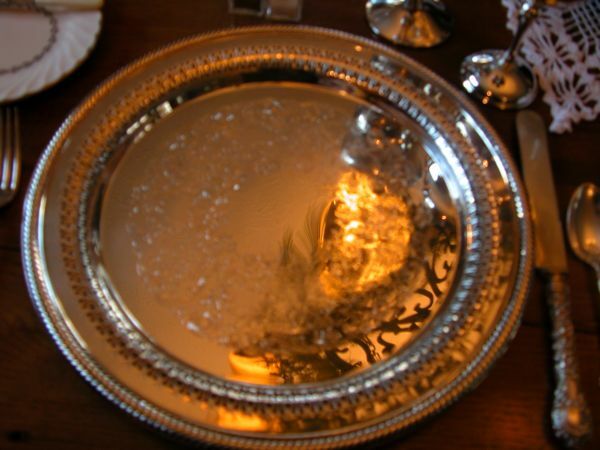 Stunning placesettings! I love all the vintage things. Stop on by for my giveaway...chocolate!! Enter in for the giveaway today. I will be back to visit your blog again. 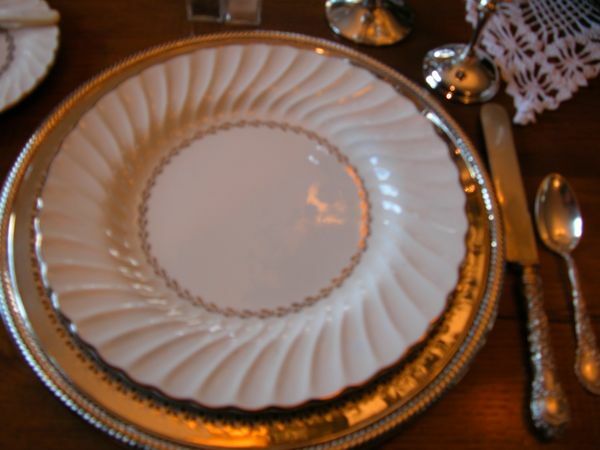 Anita...I love the tablescape and your doilie is gorgoeus! Anita, it is lovely! 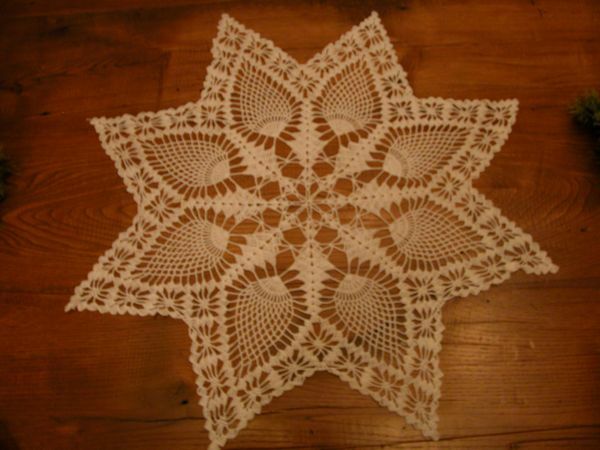 Love the doilie your grandmother made mixed with all the other elements. 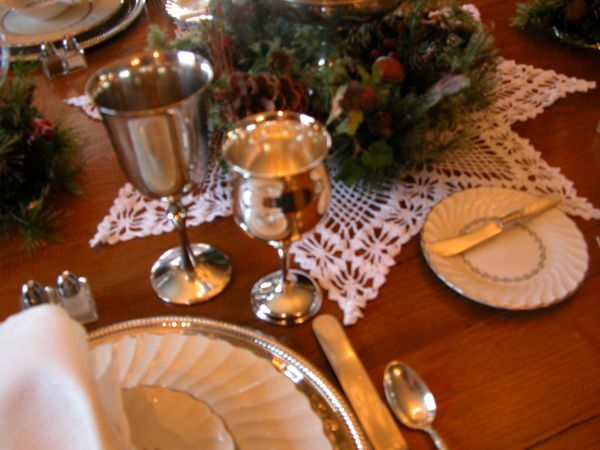 Your silver pattern is one of my favorites, and I love the goblets, too. Is that china by Nikko? I have a pattern I use sometimes that is called Blue Peony that looks similar in style. Hi Anita! Your table is so pretty! I love the doily your grandmother crocheted. Mine crocheted too and so do I. 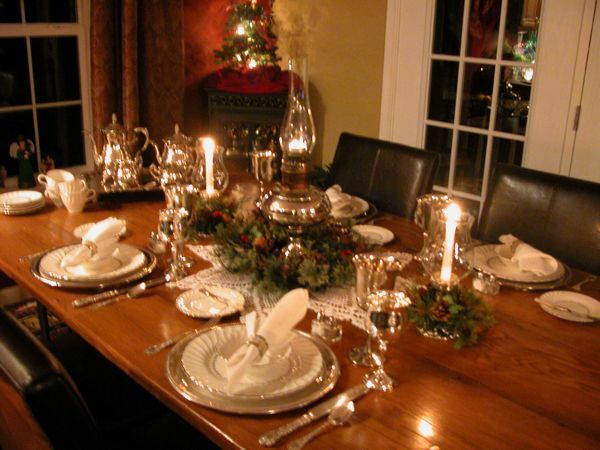 Love those gorgeous silver chargers and goblets. You've really set a lovely table. Thanks for coming to see my home tour. This is so pretty -- I usually do a lot of color as well and then the simple every now and then looks so refreshing. Those chargers are lovely. This is all so pretty and what a treasure to have those things handed down -- such delights! Your table is so beautiful! Love your wonderful silver. 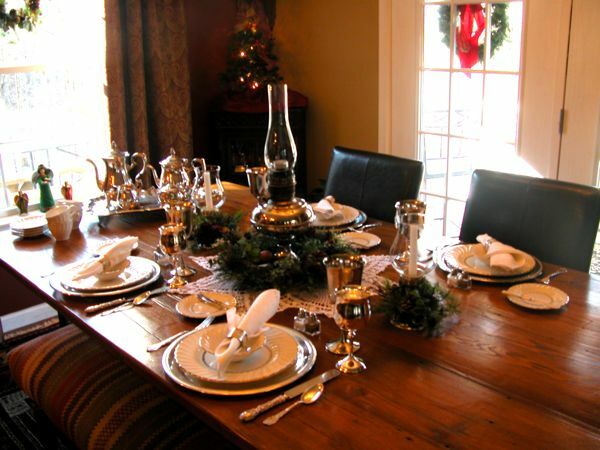 Anita, your table is gorgeous and I love that you used family heirlooms, makes it that much more special. Anita, another great table setting. I love the white and silver. You have such great heirlooms. Those silver chargers are fantastic and probably worth a mint now. I don't believe I have ever seen silver ones before. 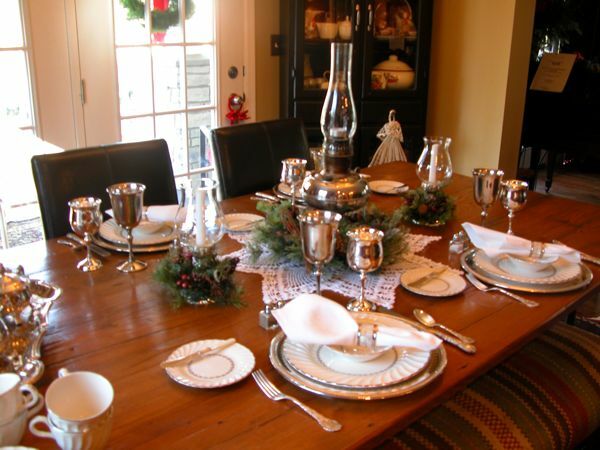 Susan may be sharing my kitchen table setting on her blog this Saturday or the next for the people with no blog. Wow, that table is gorgeous! Simple but very elegant. 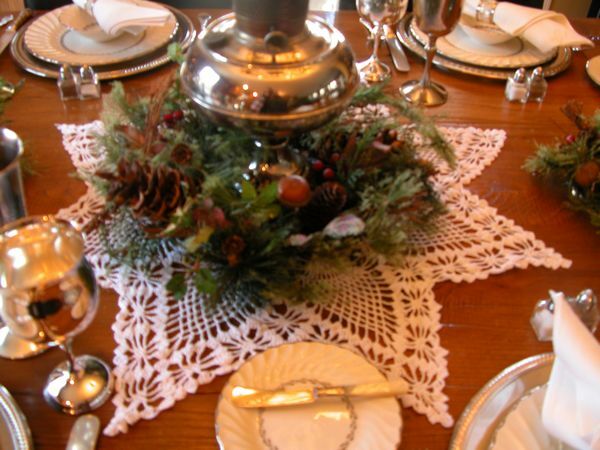 Love the pineapple design doily with the silver oil lamp. 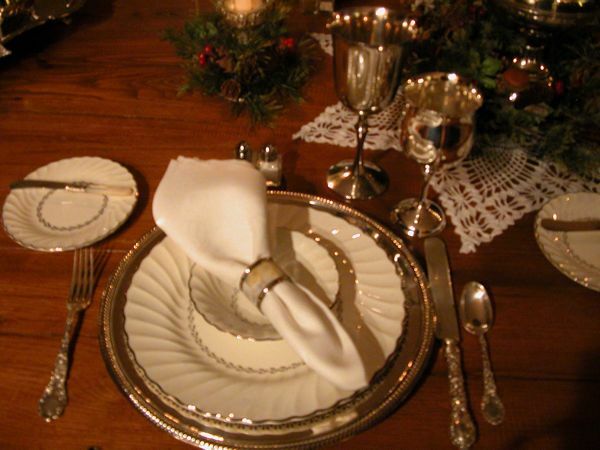 I can't decide what I enjoyed more the history of where the lovely items came from or the table scape it self. Thank you for sharing. 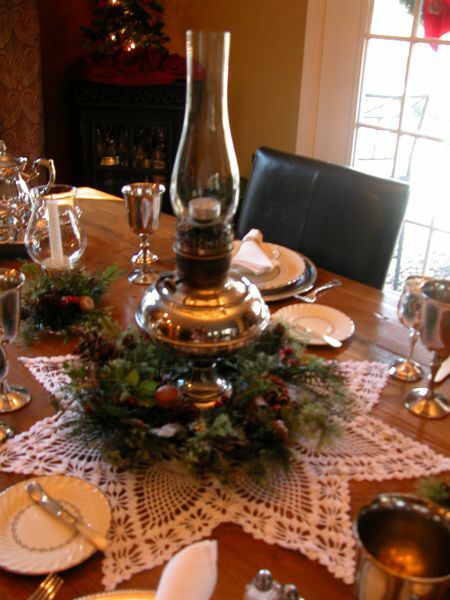 Hi Anita~ ~The doily with the oil lamp is lovely. Sweet centerpiece. My Mother tats so I have lots of doilys around the house since she moved in with us. I just love them. Your table is lovely. I am having fun catching up on your posts as the wind howls outside!